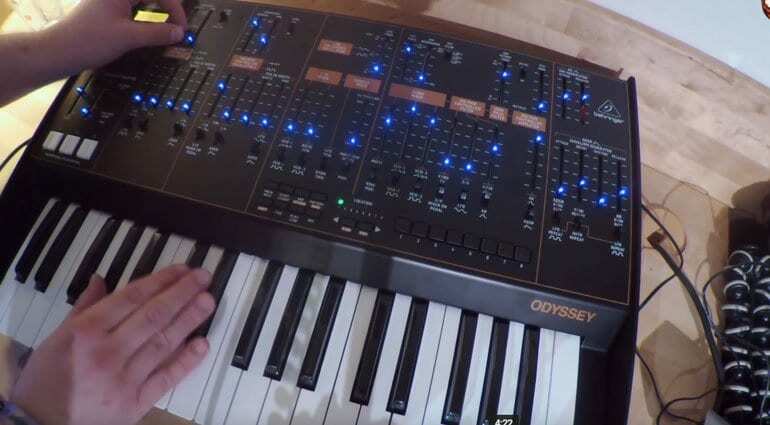 Just when you thought the Pro-One and RD-808 were enough to add to the DeepMind, Model D and Neutron, Behringer whips out an ARP Odyssey clone they are simply calling the Behringer Odyssey. There seems to be a number of Behringer products that are not being shown to the general public, but rather are kept for a special one-to-one reveal with various special parties. 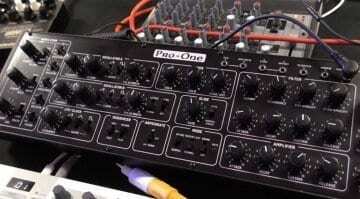 The video below is from DivKid’s Modular Podcast talking to Pete from the British synthesizer development wing of Behringer. 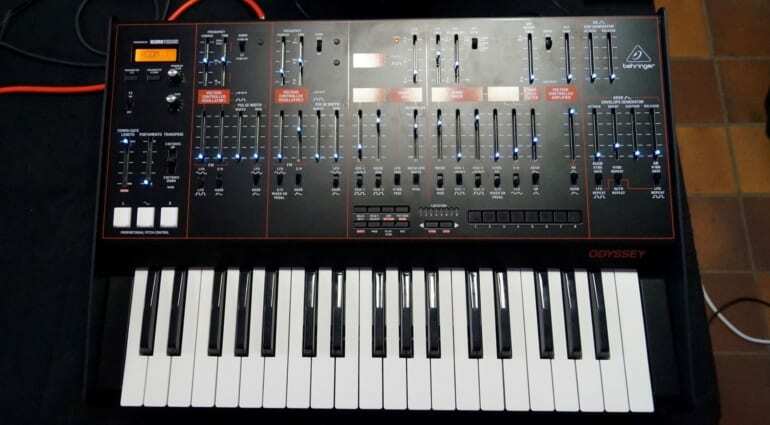 Well it certainly looks the part and they haven’t made the keyboard mistake of Korg – it’s got full sized keys. It’s proper chunky and I’m liking the blue LEDs. It has two oscillators, LFO, Sample & Hold, noise, filters from all three versions, AR and ADSR envelopes, VCA drive and a few additional features. They include a Klark Teknik effects bus available through the little screen in the top left. Not seen any other details so far. It appears to sound great, as you’d expect it to. I like the fact that it’s a proper synth rather than the desktop/Eurorack format which can often compromise on space and touchability of controls. The build quality also looks hefty enough. 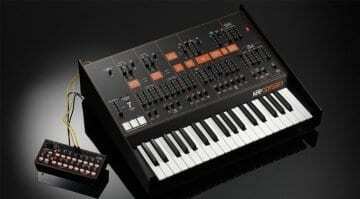 I can’t imagine that this would go for the same as the Model D but Korgs mini keys version is around £600. You’ve got to think that they will come in fairly keenly under that. I love that that they’re adding an onboard effects section. 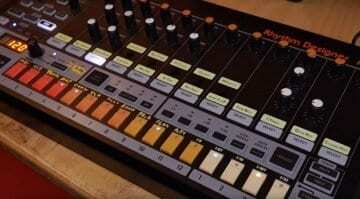 Behringer really needs to do this on all of the clone remakes, especially since it has access to TC components! Will it have any memory? just waggle the cut-off frequency and change 10 sliders in 2 seconds……. clueless user and reviewer. next time you do a review, try to figure out how the thing works. that was a waste of time watching you being clueless around this machine. Get a proper camera – or at least a proper mobile camera. 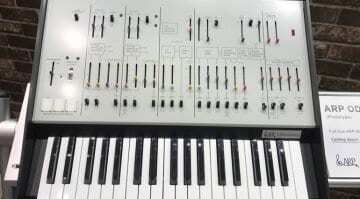 Then learn about interviewing and about synths.